Oh folks, I don't even know where to start with this event report! It was so lovely to be invited to the Random House Blogger's Brunch - there was great company, great books and definitely some great cakes. I was so hugely excited about going that I managed to get the offices that I managed to get there a full HOUR early. Yes, I am that keen. And for good reason, Random House have some AMAZING books lined up this year. When we first sat down and I was to able to flip through through the information about the books we'd be hearing about today, I found myself thinking 'ooh, the cover of that is GORGEOUS, but I'm not sure if the book's for me' or 'Intriguing title! but I have so many books to read, will this really be one of them?' because at the moment, I'm really trying to be picky about the books I read so that I don't get swamped with review books and become stressed or panicked. So I was trying to be reasonable and be discerning. Wonder by RJ Palacio - Wonder has such great buzz on Twitter and on blogs and while I'd of it before last weekend, I was never DYING to read it like I am right now. I'm absolutely kicking myself for not diving into this book immediately. I'm sure that it is a book that I will love and will be persuading all of you to read it as well, when it's published mid-February! 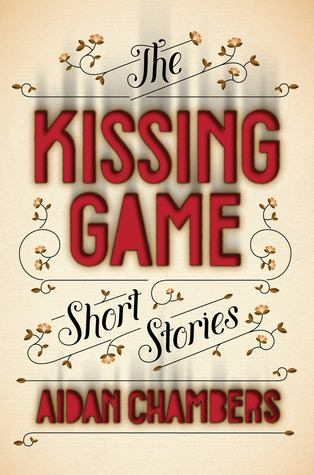 The Kissing Game by Aidan Chambers - This book is out in March in paperback. I did have a copy of this, but I passed it along to my guest reviewer, Kulsuma, who read and enjoyed it, I believe. 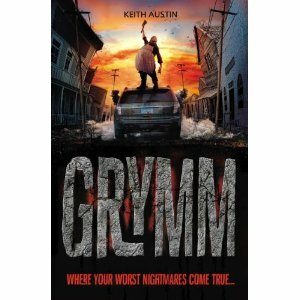 A collection of short stories and flash fiction which tends to head into darker territory. Look out for Kulsuma's review! 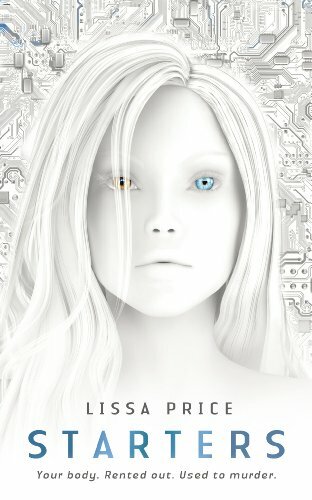 Starters by Lissa Price - I'm already excited about this one. It's a really great sounding dystopian novel and there's been lots of buzz already. I'm definitely looking forward it. 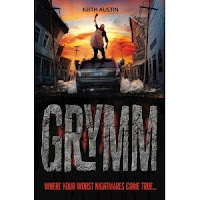 It's a creepy cover and an interesting premise. Published 15th of March! 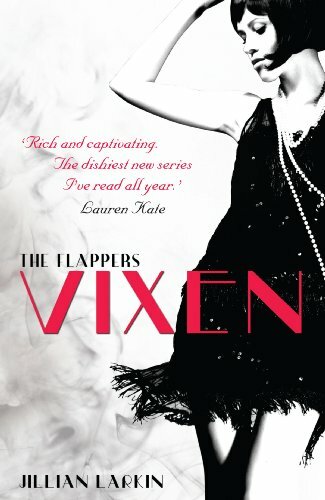 Vixen by Jillian Larkin - I've had a proof of Vixen for a little while now. It sounds utterly fun, set in the 20s. This debut novel has been described as Gossip Girl meets Chicago, and that description alone makes me smile. I think I need a good, fun read and this sounds perfect. 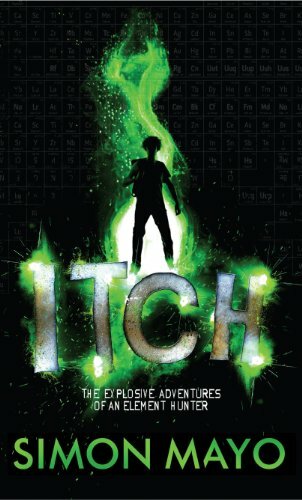 Itch by Simon Mayo - OK, here's where things start to get a little bit embarassing. I don't know who Simon Mayo is. Someone from RH said 'Yes, it is THAT Simon Mayo' and from that I took it to mean that Simon Mayo is a name that most people would recognise ... unless that person were me. Regardless of that fact, I love the sound of this book. My 6 year old son is on the edge of becoming a science geek and this book really sounds like something he'd love when he's older and something I'll love right now. It's supposed to be this action-packed book with an Alex Rider type feel to it, but involving actual sciencey things instead of unrealistic and unbelieveable Bond/Rider gadgets. 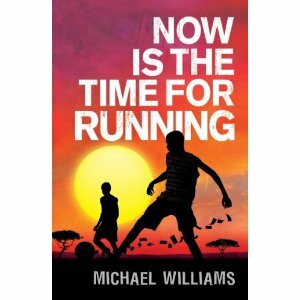 Published the 1st of March, I'm marking that down on my calendar. 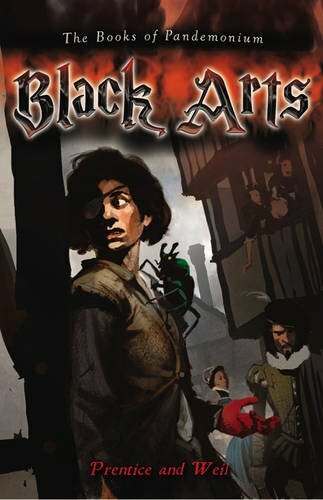 Black Arts by Prentice and Weil - This book is set in Elizabethan London and tells a story about pickpockets and shows off all the dirt and grime of living in London at this time. The Globe Theatre plays a huge part in the story, which makes me happy, and I'm really interested to see where the story goes, especially as there elements of fantasy thrown into this adventure story! Published 5th of April. 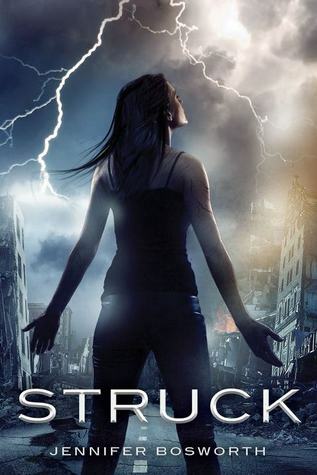 Struck by Jennifer Bosworth - Well, Struck seems pretty exciting, doesn't it? It's a book that a lot of bloggers had heard of beforehand and already seemed dying to read. I'd seen the cover and it looked great, but I admit I didn't know anything about it beforehand. But after hearing that it's about a girl who is addicted to be struck by lightning and that somehow this ability for lightening to strike is at the core of saving the entire world ... yeah, I can see why people are excited. I'm excited too! Coming to you 10th of May. Now Is the Time For Running by Michael Williams - When I first came into the Random House building, I did see this table full of books meant for us bloggers. You should have seen the stampede that occurred when the talk was over and we were allowed at the free books. I snatched a few books up, but there was this book just in the corner and I was desperate to get my hands on a copy. Luckily Carly was in a better position and was able to grab copies for the both of us! Very excited. I love the sound of it. It feels like it'll be very emotional, about two footall-mad brothers who go on this dangerous journey to safety. The Seeing by Diana Hendry - What was great about hearing about these books from the RH editors and publicists were all the great details and facts learned about the authors. For this book, we were told a bit about the author's own experiences being nearly blind growing up and how she uses that in order to tell this story about two girls causing a world of trouble and problems post-WWII. I'm definitely excited for this book. 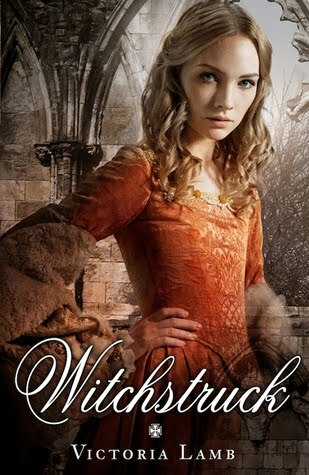 Witchstruck by Victoria Lamb - I'm not such a fan of historical novels in general, and with this cover, I thought Witchstruck might be a book I'd pass on. That thought process didn't last long as the Random House ladies really sold it to me. With a great female main character with witchy abilities in a Tudor setting caught between a marriage proposal with the local witch catcher and a hot Spanish guy. I found myself wanting this book more and more, especially after everything said about it! Published 5th of July. 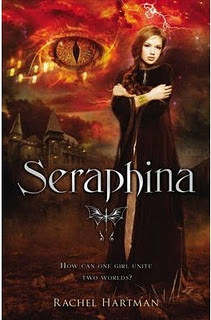 Seraphina by Rachel Hartman - Here's an interesting sounding book. A fantasy book which focuses on solving a murder and keeping the peace, where one girl is stuck in the middle of it all. Here's another mash-up comparison for you: Eragon meets Game of Thrones with a female twist. The Terrible Thing That Happened to Barnaby Brocket by John Boyne - A new John Boyne book! This one sounds like it's going to be incredibly sweet. We were able to see a few of the illustrations for the book done by Oliver Jeffers (whose picture books both me and my children adore) and the story of the book just sounds so much fun. About a boy who is born able to float. And this story tells of his journey floating around the world trying to make it back to his family. Aww. Blood Keeper by Tessa Gratton - I absolutely ADORED Blood Magic when I read it last year. Seriously loved it. So much so that I continued reading the book even though we had company over and it was very rude of me. But I didn't care, I couldn't stop reading. So I'm thrilled that the sequel will be published this year. Thrilled! End of August you cannot get here soon enough. Spy for the Queen of Scots by Theresa Breslin - For absolutely ages I always said the same tired thing - 'historical fiction is just not for me' and then I read Prisoner of the Inquisition last year and some other equally wonderful historical books and now I'm finally at a place where I can admit that me and historical fiction can definitely work well together, provided it's the right author and the right story. And I think Theresa Breslin is definitely the right author and I'm hoping this is the right story! Published in August. Turf by John Lucas - One of the publicists asked me during the brunch part of the day which book I was most excited about (actually, several of the publicists asked this and I got all flustered and probably mumbled something incoherent. I'm not good at being put on the spot, I needed more time to THINK!) and once I was able to think about it, I decided that it's Turf. Mostly because I read a book about gangs when I was little (Durango Street by Frank Bonham) and it was so different from the books I'd normally read and I was left reexamining my own thoughts about the subject. And also because a close family member was involved in gangs when I was a lot younger. This person made huge mistakes but really turned their life around and is now in a position to help teenagers and young people from making the same mistakes. So, Turf is a book about gangs in London and making the right choices and it really sounds like something I'd enjoy reading. 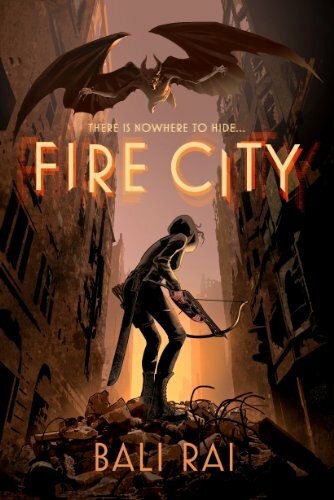 Fire City by Bali Rai - Bali Rai is one of those authors that I've been very curious about. I've not yet read any of his books yet, but I'd like to. And his new book sounds like something entirely different than anything else he's written, and I'm intrigued! Taking place in Fire City, where demons rule and some humans who haven't allied themselves with the demons are left to fend for themselves. It sounds dark and fantastic. 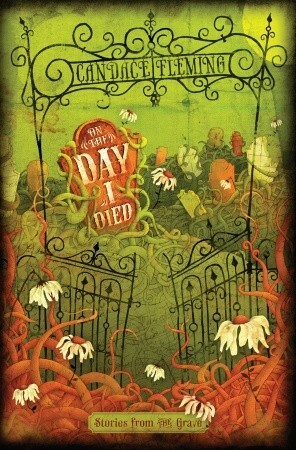 On the Day I Died by Candace Fleming - I love the sound of this one, and it's being published in time for Halloween! This one's about a boy stumbling across a cemetery for dead teenagers, who appear as ghosts all of which want to tell their stories. I love ghost stories and especially reading them around Halloween time, don't you? Also, Where She Went by Gayle Forman and Unleashed by Nancy Holder and Debbie Viguie will be out in paperback this (both of which I enjoyed! ), and there will be a new Spook's book by Joseph Delaney (which I didn't listen about very closely and I've only read the first book so far and would like to read the entire series!). 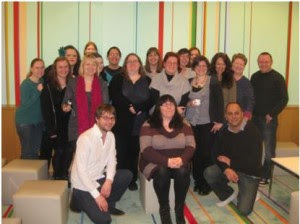 Followed by this, the lovely ladies of Random House and us bloggers had some yummy drinks and homemade cakes! Amongst the minglers were three of the authors whose books are being published this year: Victoria Lamb (Witchstruck), Bali Rai (Fire City) and John Lucas (Turf). It was so great to chat with everyone. I don't often get a chance to talk books with people, especially YA, so the whole day just felt amazing. I wouldn't have to hesitate if I was asked for my most exciting upcoming release: Rapture!! Can't wait! I'm really excited for Falling to Ash too. Sounds great! That looks like loads of fun, books and cakes! You couldn't ask for anything more really. I'm looking forward to Blood Keeper as I also loved Blood Magic. Looks like you guys had lots of fun! Really looking forward to Falling to Ash and Blood Keeper! And yay Wonder - it's such a beautiful book. 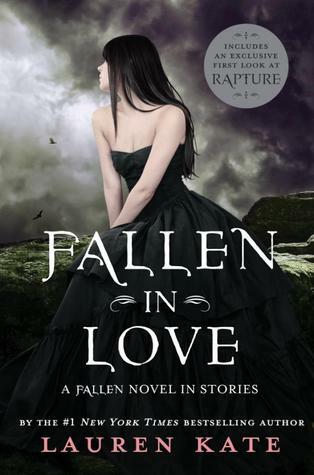 *fangirls at mention of Where She Went* Looking forward to the paperback release when I can gush about it, haha! It definitely was a lot of fun :) All the books just sound really good! I really will read Wonder sooner rather than later and yes, Where She Went is mazing. The day I'm invited to some publishers event, is the day I will know I have arrived. Way to go! :) I can't even imagine how fun this would be! It's so great to hear about this, and I love the pics of you all! So glad you had an amazing day. It looks like it was an amazing day and the books look fabulous - I'm not even going to try and name which one's I love the sound of .. or this comment would go on for ever!